Hector Castro was born in 1904, Montevideo. As a young boy (aged 13), he accidentally amputated his right forearm while using an electric saw to cut wood. This did not stop him from playing football and in 1923/24 sesssion, aged 19, he signed for Club Nacional. 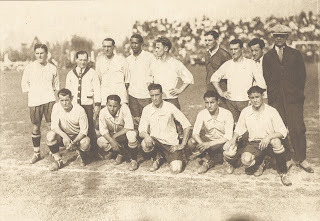 His team went onto win three Uruguayan Championships (1924, 1933, 1934), before he retired in 1936. 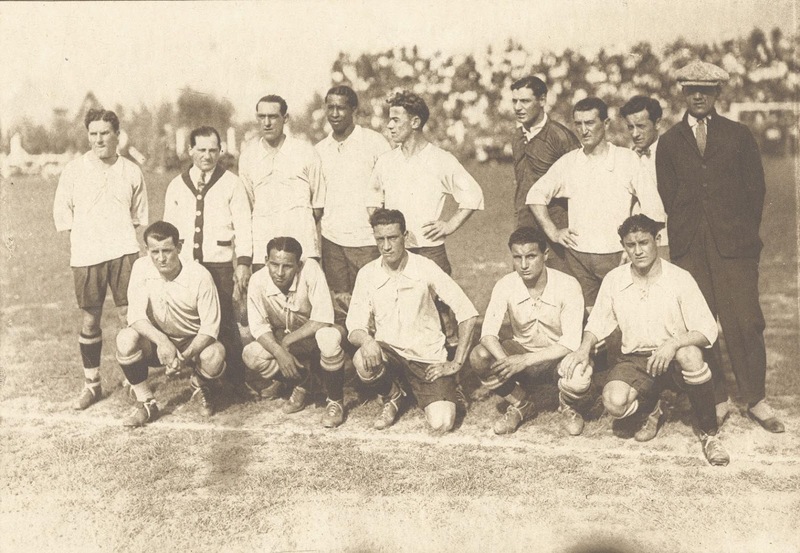 He made his debut for the Uruguay national football team in November 1923. 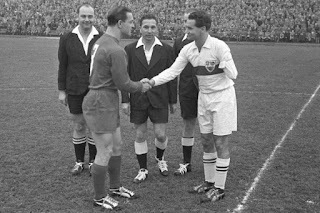 He played his final match for la Celeste in August 1935 having played 25 times, scoring 18 goals. Castro neither asked for nor received special consideration for his handicap and often put his stump to good use by pushing other players out of the way as he lept to head the ball. He was loved by his fans and respected by his peers. Off the field he enjoyed the fast life and had a reputation as a ‘bad boy,’ with his drinking and gambling antics. Several times he had his life threatened but dismissed any attempt to imtimidate him as a player. 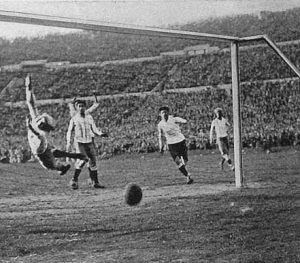 'El Divino Manco' (meaning 'the one-handed god') was picked for his National Team and scored Uruguay’s first-ever World Cup goal, against Per. He also scored the winning goal at the FIFA World Cup final in 1930. Héctor Castro played twenty five times for his country scoring twenty goals. After he retired from the playing, he went on to coach Nacional, and won the Uruguayan championship in 1940, 1941, 1942, 1943, and again in 1952.